In exchange for Harvey, the Mets received cash and the oft-injured catcher Devin Mesoraco, who was in the Reds’ starting lineup for Tuesday night’s game until the trade was announced just under an hour before first pitch. Mesoraco, 29, then switched clubhouses at Great American Ball Park. Harvey, also 29, will not face his former team this week, as he will join the Reds for their next series in Los Angeles against the Dodgers beginning Thursday. His performance declined significantly after some injuries, and he had struggled mightily both as a starter and as a reliever this season. Harvey’s tenure with the Mets came to an end after they designated him for assignment on Saturday following his refusal to take a minor league assignment, which was within his rights. The Mets had seven days to either trade him or release him if he cleared waivers. The Mets are hoping a now-healthy Mesoraco can help. 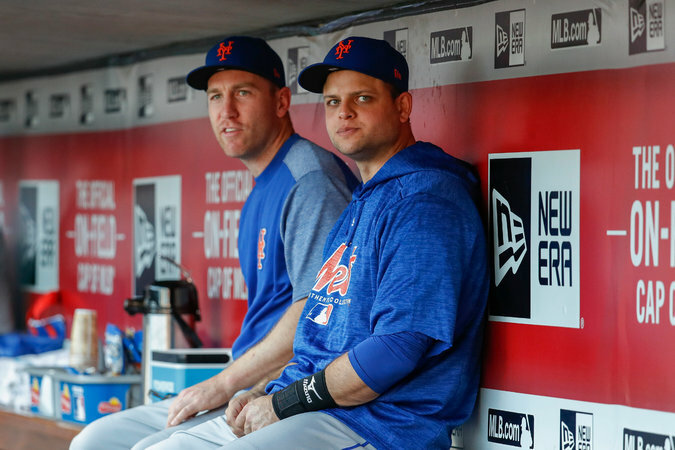 J.P. Ricciardi, a special assistant to the Mets’ general manager, told reporters that right fielder Jay Bruce and third baseman Todd Frazier, Mesoraco’s former teammates in Cincinnati, had spoken highly of Mesoraco before the trade. To help, the Mets are expected to call up infield prospect Luis Guillorme from Class-AAA Las Vegas.